Nesting is NOW! And Spring Migration is ON!!! Don't miss the best birding of the year. It's happening TODAY right outside your window. Our feeders and baths are being mobbed by nesting residents, joined by our favorite Spring migrants that are arriving by the minute. Hummingbirds are here! 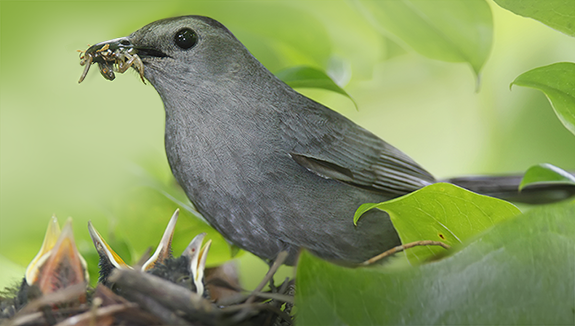 And Catbirds! And Baltimore Orioles! And Warblers! And……..! How do you get a daily front row seat to all this action? If your backyard habitat is already underway, then you know what we're talking about! Keep up the good work and please share this email (and your love of wild birds!) with everyone else. 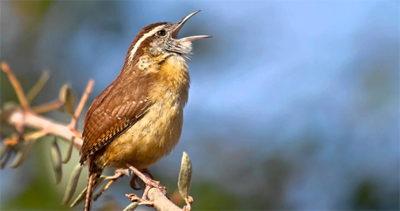 Add the three humble elements birds are seeking to your backyard. All of these birds are seeking the best possible version of their natural habitat for their new families. By providing healthy food, fresh water and secure nesting options, every backyard can be a micro-habitat for wild birds. No matter the scale. Keep it simple! Even the smallest, most humble effort can make a difference for generations of your backyard birds. Now's the time! Start small and see how it goes! Stop in and tell us about your birds, your backyard and your budget. The Backyard Naturalist staff can show you how to get started. We'll be here at every step of the way with advice and quality products. See our new Backyard Habitat resource section for more info about starting your habitat. ← It’s Bluebird Time! Get your boxes up NOW!